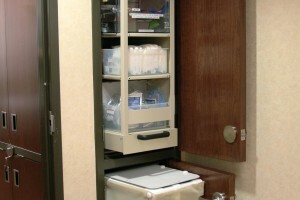 Patient Care Supplies Storage | Donnegan Systems Inc. 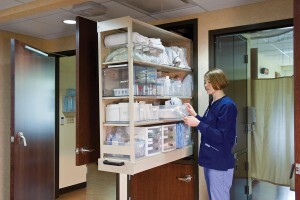 Designed for comfort and convenience, CoreSTOR® nurse server places 80% of the most frequently used patient care supplies just a few steps from the bedside. This healthcare solution can be accessed from the inside of a patient’s room as well as the outside. 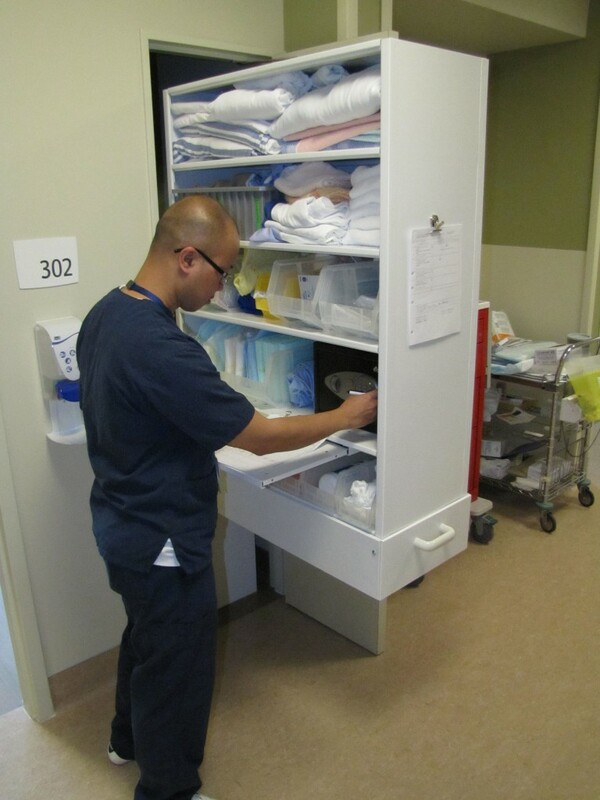 The CoreSTOR nurse server extends fully outside patient rooms and into the corridor for easy stocking at any time of day or night. 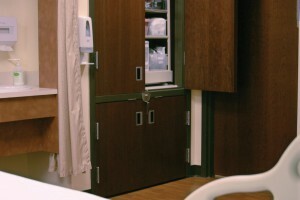 The unit’s patented pull-out shelving provides complete access from inside the patient room for increased efficiency. 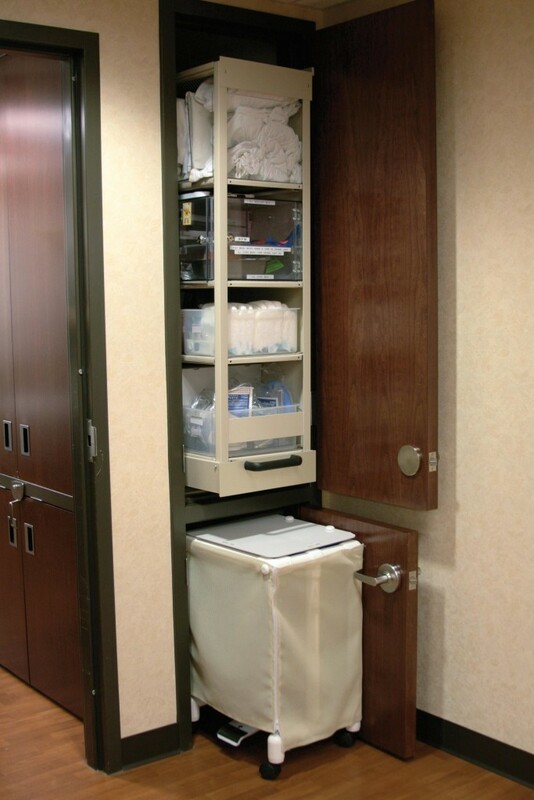 The risk of patient exposure is reduced by stocking supplies from outside the room. This also keeps disturbing interruptions to a minimum while allowing more time for patient care. Depending on your storage needs, the CoreSTOR patient care server can be configured to accommodate 4-post shelving or a FrameWRX storage sysytem with EZ Rail. 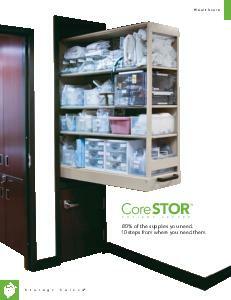 CoreSTOR® nurse server is designed to put 80% of the most frequently used supplies for patient care 10 steps from the bedside. 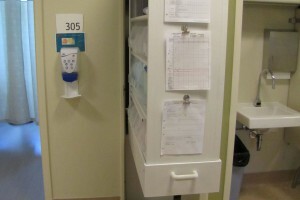 A new concept of inpatient care in a general medical unit at Appleton Medical Center (AMC) in Appleton, Wis., lowered the cost of care in the unit by 21 percent – while also reducing the length of patient stays by 17 percent and greatly minimizing the opportunity for Hospital Acquired Infections (HAIs). 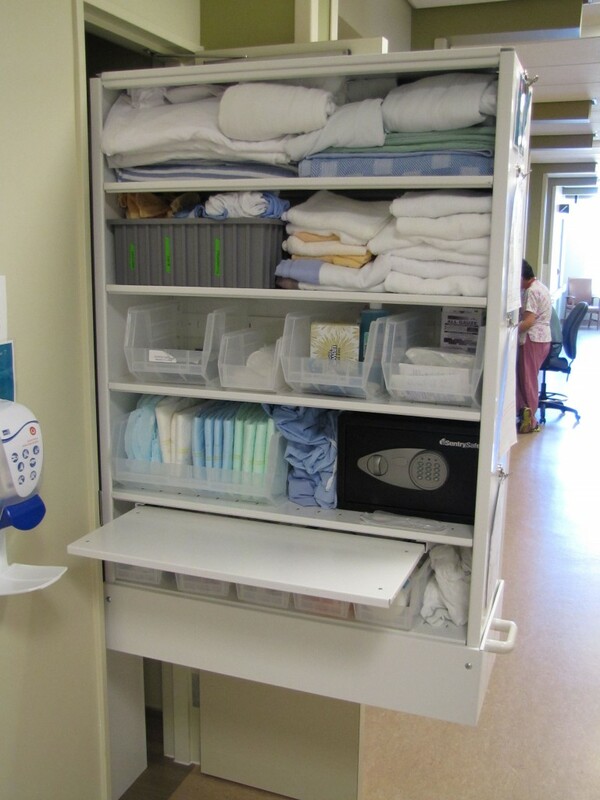 This new approach is called the “Collaborative Case Method” and drove the need to reinvent how equipment and medical supplies are stored and accessed on patient floors for AMC. 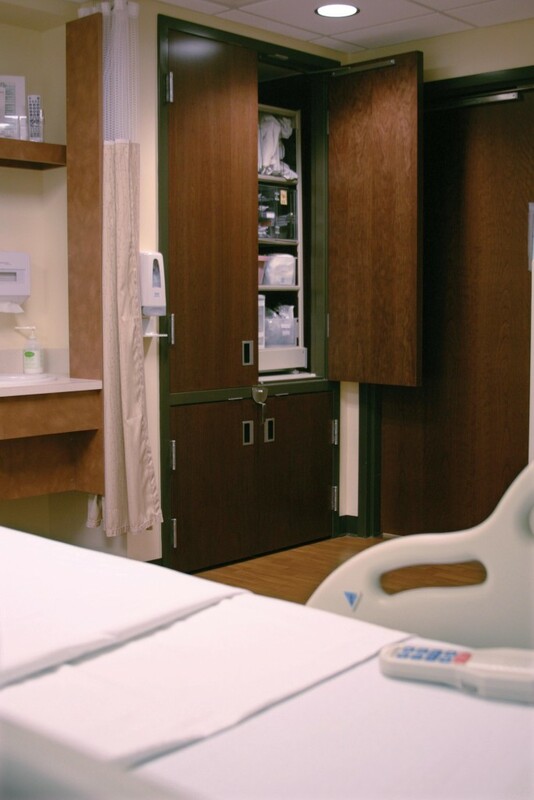 Working with architectural firm Hammel, Green and Abrahamson, Inc. (HGA), ThedaCare redesigned the 14-bed unit to eliminate traditional clean utility storage rooms. 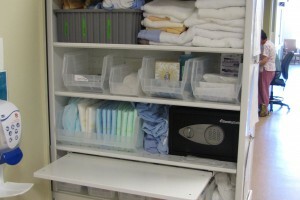 Doing so created the need to efficiently store frequently accessed supplies inside the patient room. 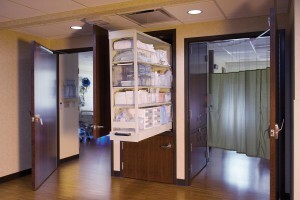 For help with its storage challenge, ThedaCare teamed with Spacesaver and its local representative to design and install a breakthrough storage system – CoreSTOR patient server, a unique and highly adaptable innovation that serves as a decentralized nurse supply station. 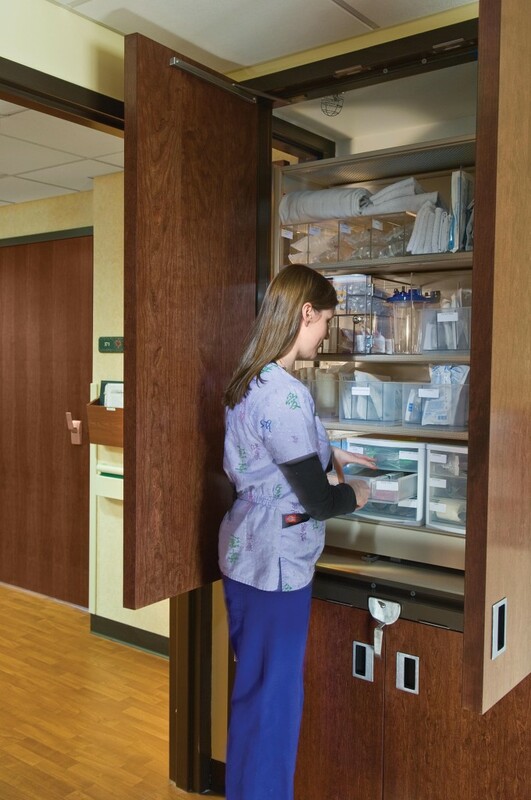 The CoreSTOR Nurse Server extends fully outside the room for easy stocking and the unit’s patented pull-out shelving provides complete access for increased efficiency. 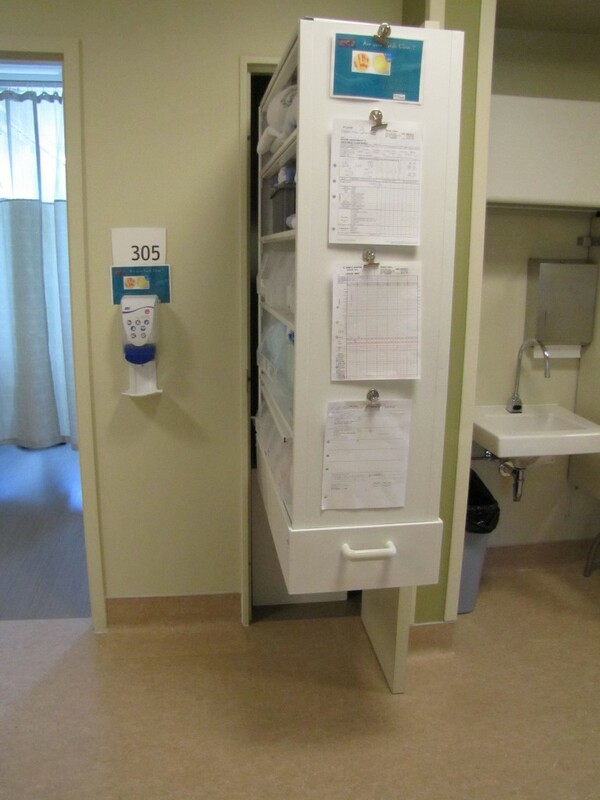 Patient room traffic is reduced by stocking supplies from outside the room – minimizing patient exposure and interruptions. See how the CoreSTOR nurse server, also called a patient care server, can help increase patient contact time and minimize disruption and exposure risk. 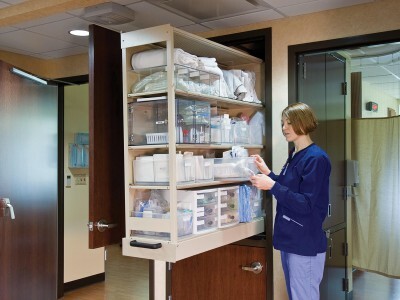 Ready to reduce the length of patient stays and increase storage efficiency?